Private Briefing: A direct line of communication between our premium members, and Rahul Goel, CEO, Equitymaster. Private Briefing will be a platform for an ongoing conversation with Rahul. It aims to empower readers with honest and credible opinions to make meaningful and profitable investment decisions. Through Private Briefing, Rahul will connect the big picture to the impact it could have on your wallet. Rahul will unearth facts behind the stories pedalled in the mainstream media. It will bust myths, expose vested interests, and offer ideas for creating wealth. 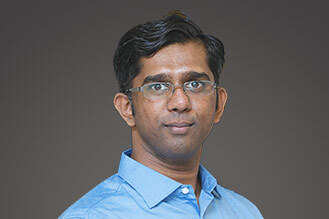 Rahul will stay true to the core principles of sensible investing but will also offer his insights into the latest trends and ideas from the world of money. Private Briefing is not a recommendation service. It will carry the views of Equitymaster's research team on the latest trends in the sectors they cover as well as the broader economy. But it will not offer specific stock recommendations. Private Briefing offers an honest, transparent, and unbiased insight into what's happening in the Indian economy and the markets. Rahul will provide a wealth of insights into what's happening within Equitymaster and the big macro themes from India and the world that could help you make potentially profitable decisions. Effectively, Private Briefing will be the platform for an ongoing conversation with an aim to empower readers with honest and credible opinions. Do I need to sign up separately for Private Briefing? The Private Briefing is written exclusively for premium subscribers of Equitymaster. If you are a premium subscriber of Equitymaster, this service is complimentary for you. It will be automatically added to your subscriptions. In case you are not a premium subscriber, we offer our regrets. What does Private Briefing offer? We will unearth facts behind the stories pedalled in the mainstream media. It will bust myths, expose vested interests, and offer ideas for creating wealth. The letter will stay true to the core principles of sensible investing but will also offer insights into the latest trends and ideas from the world of money. Did the mainstream media warn about tensions between North Korea and the US before it happened? Wouldn't it be nice if someone rang the alarm bell before such events happen? But the mainstream media won't do it. They're reactive by nature. Private Briefing on the other hand, will be proactive. It will not only bring you the big global trends but also how they affect our markets. So much has been written about these big events already...but what about making money from these trends? Private Briefing will demonstrate how to play big themes like these. The Real Situation on the Ground: What Are the Companies Saying? You may have heard about how Amazon is making life miserable for brick and mortal retailers in the US. Our research team was not surprised when they heard the news. The management of a top Indian IT company, which was a key vendor to large US retailers, told our analysts this might happen...three years before it happened. This sort of information is priceless. Management meetings gives our team a glimpse in to the future. And now...readers of Private Briefing will know it too. Private Briefing will include the team's answers to hard-hitting questions about the sectors they cover...every week. What are the latest sectoral trends? I'm sure you will have questions too. 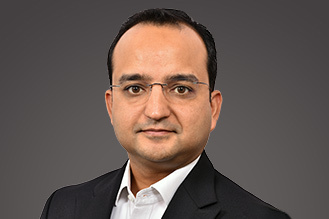 Why did Rahul Shah close a position so soon? Why did Richa recommend a particular stock? Need an update about a megatrend and how to play it? Concerned about Donald Trump? North Korea? Now you can ask Rahul Goel directly. In the Private Briefing mailbag, we will answer your pressing queries. Every issue of the Private Briefing will carry answers to readers' queries. You can write to us with all your queries. Alternatively, you can call us on +91-22-61434049 between 10 am to 6 pm from Monday to Saturday. Will Private Briefing offer stock recommendations? Private Briefing is not a recommendation service. It will provide the honest and unbiased house view of Equitymaster. It will carry the views of Equitymaster's research team on the latest trends in the sectors they cover as well as the broader economy. But it will not offer specific stock recommendations. We do not offer customized opinions for any particular subscriber or class of subscribers. We are not qualified financial advisors nor investment advisors and we strongly recommend our subscribers seek professional advice before taking any decisions. Who is the editor of Private Briefing? Rahul Goel, CEO of Equitymaster, learned the values of honest, independent research very early in life. He first joined Equitymaster in 1995 as an intern. He was then part of the team that published the Quantum Stock Market Yearbook (later the Equitymaster Stock Market Yearbook). After a break to get a double postgrad in finance, Rahul came back to Equitymaster in 1999, and has since served in several roles. He was responsible for building the research effort at Equitymaster. He also doubled up as an analyst covering the Indian economy, and the cement, steel and aluminium sectors. In 2008, he took charge as the CEO of Equitymaster. Over the years he has held aloft the standard for honest, transparent, and unbiased research on the stock markets. Along with a very talented team, he has helped build Equitymaster into India's most trusted research house, with over a million readers. Rahul is not only a keen follower of the market, an avid reader, and a capable leader, but also an insightful writer. His recently launched newsletter, Private Briefing, is a direct line of communication between our premium members and Rahul. In Private Briefing, Rahul provides readers with a wealth of insight into what's happening in the Indian economy, and the markets. He also keeps readers abreast with what's happening here at Equitymaster; thereby connecting the big picture of the economy to the impact it could have on your wallet. Sarit Panackal, is Managing Editor at Equitymaster. Sarit found his calling at the age of 19 while in engineering college. Fascinated with the stock market, he spent more time studying finance than engineering. He joined Equitymaster as an analyst in 2013. He has worked closely with editors, Rahul Shah, Richa Agarwal, Radhika Pandit, Ankit Shah, and Vivek Kaul. As Managing Editor, he oversees Equitymaster's publications and ensures the highest quality of content reaches you, the reader.